It doesn't seem that long ago that I was reviewing a different Rubik's Cube, and here I am again with another one. This time I am testing the Ohuhu 3X3X3 Stickerless Rubik's Cube which is also a speed cube but with a slightly different build design. The first thing I noticed when comparing to the other cube is that the individual cubes are molded from colored plastic rather than stickered. There is no way to cheat by swapping stickers over with this cube, because there are no stickers. This means that the stickers won't fall off after a couple of hundred uses. The cube feels loose right out of the box, but you can adjust the tension according to your own preference by prising off the center square on each face and turning the tension screw. Like all speed cubes, the corners of each square are gently rounded to allow corner cutting. While there is some resistance to popping, it is not as tolerant as the other cube in that respect. Some of the stickerless cubes I have seen before have had very little color separation between opposing sides. 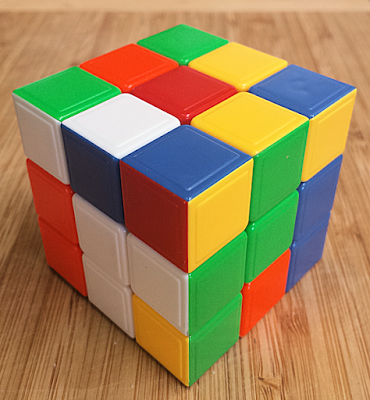 In certain light conditions it is difficult to work with some cubes since the yellow squares can look like white, and orange squares can look like red. This is not the case with this cube, unless you are trying to solve it at night by candlelight. 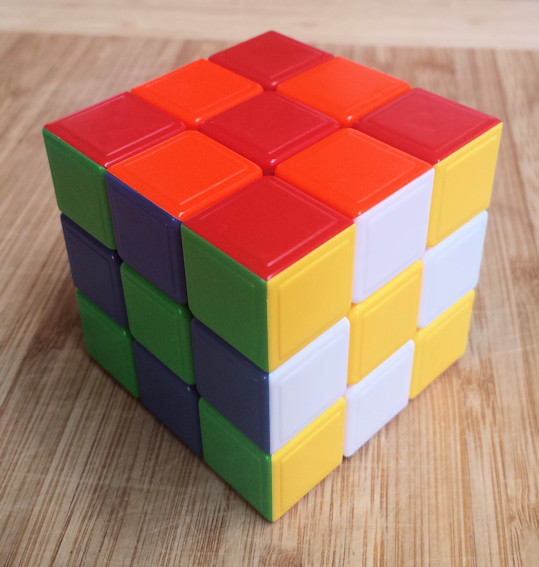 While I am not what you would call a 'Speed Cuber', since my record time to solve a cube is 1 minute 32 seconds, I do appreciate the tweaks that have been made since the original cube came out in the 70's. The feel of this cube is very nice compared to many others I have used in the past and I will continue to use this one anytime I have a few minutes to kill, or someone I need to impress. Overall, I like this cube and I think I will get a lot of use out of it in the coming years. Who knows, maybe I can break the 60 second barrier with this one.